OMG, Fox News Video Uses 'Holiday' Instead Of 'Christmas' In Its Title! The outrage continues. First, Fox's Dr. Manny Alvarez posted an article about heart health during the "holiday season" when we know that the only season this time of year is Christmas. But it gets worse. 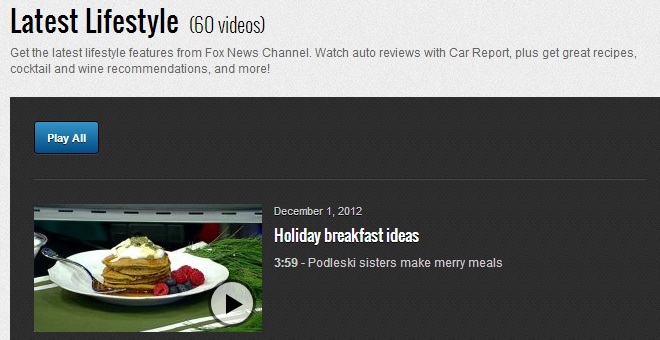 I am chagrined and appalled that Fox News, the official Christmas-not-holiday-you-scum-sucking-heathens network, has a video titled "Holiday Breakfast Ideas." Have they no shame?